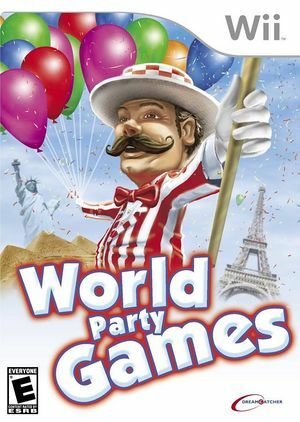 Play exciting new and innovative games from around the globe in World Party Games (Play the World in Europe)! Each continent has its own fun and challenging games that are guaranteed to be a blast for the whole family! Curl with seals in Antarctica, race up the Eiffel Tower in France, dance for rain with African tribesman, and much more. Play on your own or, better yet, challenge up to 4 friends. Win cups and medals, unlock new levels, activate bonus levels, and don cool new threads. It's fun for the whole family! The graph below charts the compatibility with World Party Games since Dolphin's 2.0 release, listing revisions only where a compatibility change occurred. This page was last edited on 12 February 2018, at 05:57.